David Smelcer, age 68 of Zearing, formerly of Boone, died October 18, 2018 at the Zearing Health Care Center in Zearing. David has been cremated and a Memorial Service will be held on Friday, October 26, 2018 at 10:30 am at the Schroeder-Reimers Memorial Chapel at Sixth and Marshall. Burial of his ashes will be held at a later date in Rose Hill Cemetery, west of Boone. 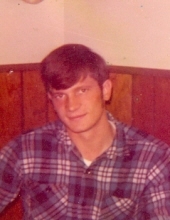 David Lawrence Smelcer, was born in Beatrice, Nebraska on June 15, 1950, the son of Donald and Adeline (Runyan) Smelcer. He worked as an ‘over the road’ truck driver for many years. David enjoyed swimming, fishing, hunting, and being outside. He spend hours at the river. He is preceded in death by his father, Donald, and brother. David is survived by his mother, Adeline Hilts of Boone; four children and numerous other family and friends. Friends may call at the Schroeder-Reimers Memorial Chapel at Sixth and Marshall at 9:30 am until the time of the service. To send flowers or a remembrance gift to the family of David Smelcer, please visit our Tribute Store. "Email Address" would like to share the life celebration of David Smelcer. Click on the "link" to go to share a favorite memory or leave a condolence message for the family.